Disney, the man and the organization he created, have been a part of my life for virtually all my life. As a child, I was as regular viewer of The Mickey Mouse Club and The Wonderful World of Disney as my family’s TV watching allowed in those days before recording programs to enjoy later was even a notion. I had a crush on Annette Funicello. I loved Zorro and, indeed, while in kindergarten and not yet five years old, I wrote my first “review” of the Guy Williams series. I saw the films, with Dumbo and The Absent-Minded Professor being early favorites. Oddly enough, I didn’t read the comic books back then, though I was well acquainted with Mickey Mouse, Donald Duck and the rest of the gang through their cartoons. My discovery of the stories of Carl Barks when I was just out of my teens was a revelation. 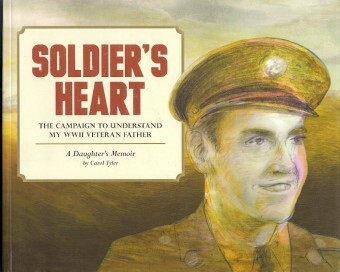 More than any other comics creator, “Unca Carl” made me a believer of and a devoted fan of every kind of comics. Directly and indirectly, Disney expanded my world. As an adult, I have enjoyed the Disney parks. I did a little work on Disney comics as sort of a script doctor on reprints of stories originally published in other countries. As Disney acquired other creative universes that I love – the Muppets, Marvel Comics, Star Wars – I found the company has become even more a part of my life. 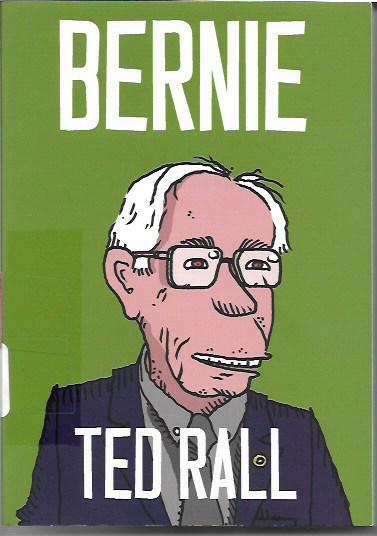 I enjoy the new Muppets television series. Naysayers strike me as akin to those comics fans who can’t accept that comics are not the same as they were in the 1940s, 1950s, 1960s, 1970s, etc. The older Muppet movies and TV shows are still available for viewing and they’re still great. Stick with those and stop annoying those of us who can accept a greater range of Muppets than is dreamt of in your philosophy. I think the Marvel movies that come out of Disney are the very best super-hero movies ever made. The only non-Disney movie that ranks with them is Deadpool. I loved the newest Star Wars movie. Was it “by the numbers” as some suggest? Perhaps, but it has wonderful new characters, respectful treatment of classic characters, action, drama and humor. It might not have triggered my sense of wonder for me in the exact same way the first Star Wars movie did, but I have no doubt it did for any number of younger viewers. Limited though my comic-book buying is these days, I am buying all the new Disney comics being published by IDW, all of the Star Wars comics being published by Marvel and several of the current Marvel super-hero titles, including Ms. Marvel and The Unbeatable Squirrel Girl. I’m good with Disney being a big part of my life. Bigger is not always or necessarily better, but Disney brings me great joy in so many different ways that it would be churlish of me to disparage the company for its size and success. 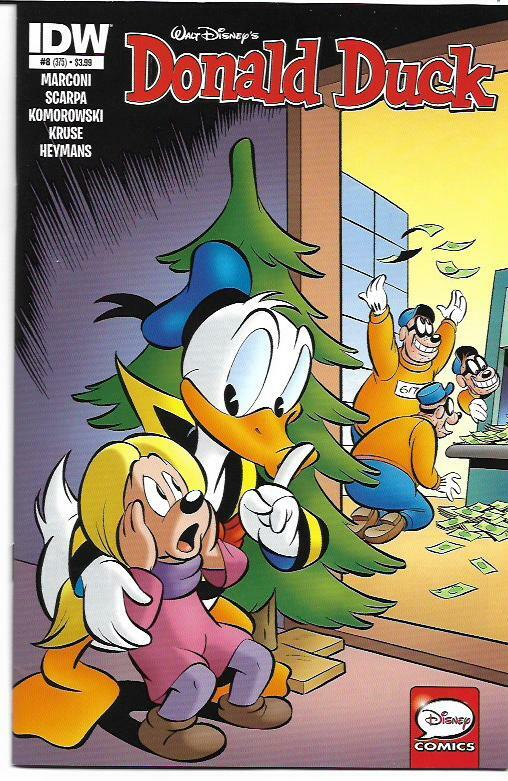 I’ve been enjoying all IDW’s Disney comics, but the issues I read most recently were Donald Duck #8-10 [$3.99 each]. 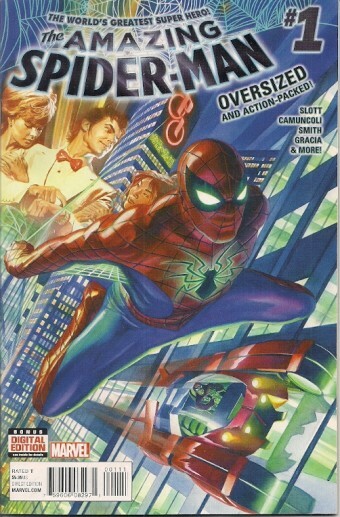 All these issues feature foreign adventures translated into English and published in the US for the first time. I’m partial to Italian stories like #8’s “Spaced-Out Christmas” by Massimo Marconi and Romano Scarpa, but I have found most of the IDW imports entertaining. Speaking of the Marconi/Scarpa story, it’s a 28-page yuletide epic which kicks off with Donald feeling like a incompetent and unlucky loser. Then it gets weird when he is seemingly abducted by aliens come to destroy our planet. It’s exciting and funny and uplifting. It’s followed by a Dutch story showcasing Donald’s own generosity of spirit. Donald is a character of vast range and it’s nice to see these comics looking at both his positives and negatives. Issues #9 and 10 present a fun Italian secret agent adventure, an Icelandic tale of the Duck Avenger, a Danish holiday story written by the USA’s own Pat and Carol McGreal, and a Dutch clash with the Beagle Boys. The IDW Disney comic books are among my favorite comic books in the current marketplace. The best vacation of my life was when Barb and I took our children to Walt Disney World with our neighbor and his daughter. As much as I love Disneyland – and I love it more than almost any other place on the planet – I love Walt Disney World. I would live there if I could afford it. 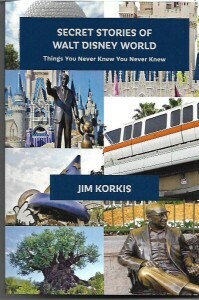 My friend Jim Korkis writes wonderful books about all things Disney and has just published Secret Stories of Walt Disney World: Things You Never Knew You Never Knew [Theme Park Press; $14.95]. This 200-page softcover bills itself as “The Rosetta Stone of Disney Magic” and, after reading it, I definitely believe in magic. Korkis writes in an entertainingly informative style that conveys the magic of Disney. I love his books and I recommend all of them. This one is as good a place to start as any. 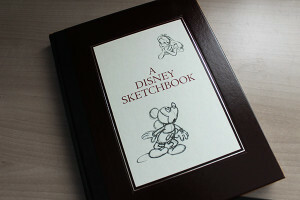 Last Christmas, I received A Disney Sketchbook [Disney Editions; $50] from a pal with excellent taste and obvious generosity. This 2012 hardcover is a collection of animation development drawings from Steamboat Willie to Tangled. The sketches are amazing in their imagination and power. I have kept the book close at hand because, sometimes, I just need to get lost in the nostalgia these drawings trigger and the inspiration they provide. Turning the pages is much like watching a world being created before your eyes. 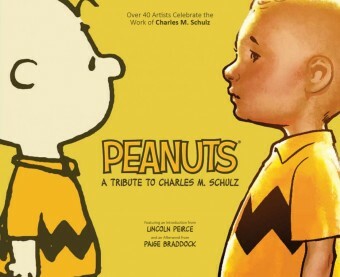 It is a book to be cherished and shared. I hope you enjoyed this look at Disney comic books and other magic. I’ll be back next week with reviews from other corners of the ever wondrous world of comics. I am still working through some problems on my end of this weekly review column, but I see the light at the end of the tunnel. Let’s hope it isn’t actually a cartoon train heading for your beloved tipster, though that could be hilarious. There have been some glitches with the Tales of Wonder blog and, in a perfect storm, some computer problems on my end. All of us regret the delays and assure you that you’ll still get your full monthly complement of “Tony’s Tips” once we get resolve these frustrating problems. I’m in a Marvel state of mind this week. As much as I disliked the Secret Wars event and the years-in-the-making diminishing of many classic Marvel characters that preceded it, I find myself honestly intrigued by the post-event Marvel Universe. 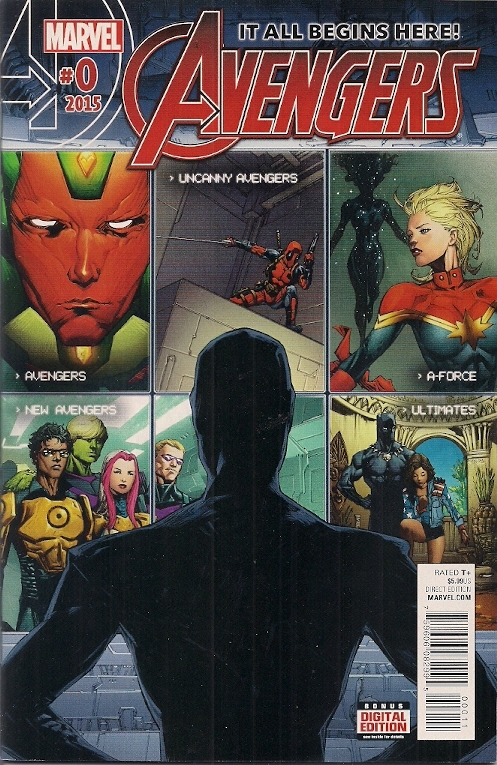 I’m also bemused that the last issues of the universe-shaking series shipped months after the launch of almost all of the post-Secret Wars titles. How does something like that even happen? What started out as the never-failing-to-make-me-smile only thing Groot says becomes literally fraught with meaning in Groot #1-6 by Jeff Loveness (writer) and Brian Kesinger (artist). 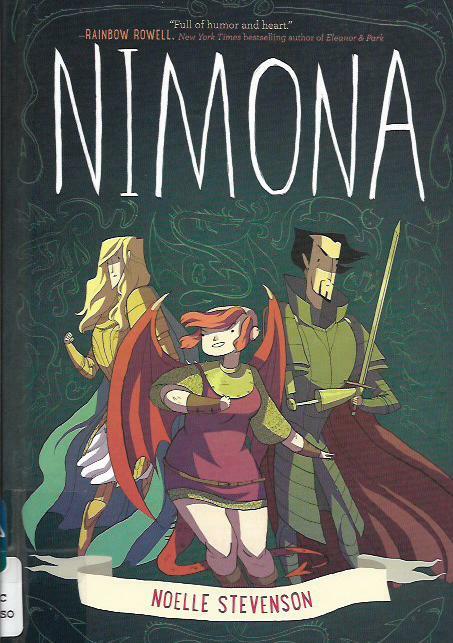 That most terse of phases is echoed by the basic and familiar overall plot for the series. 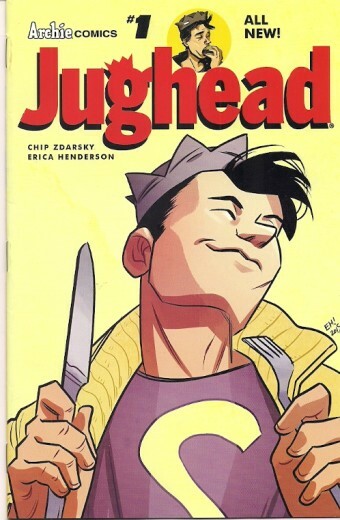 My unexpected pick of the week is Jughead #1 and #2 [Archie Comics; $3.99 each] by Chip Zdarsky with artist Erica Henderson. 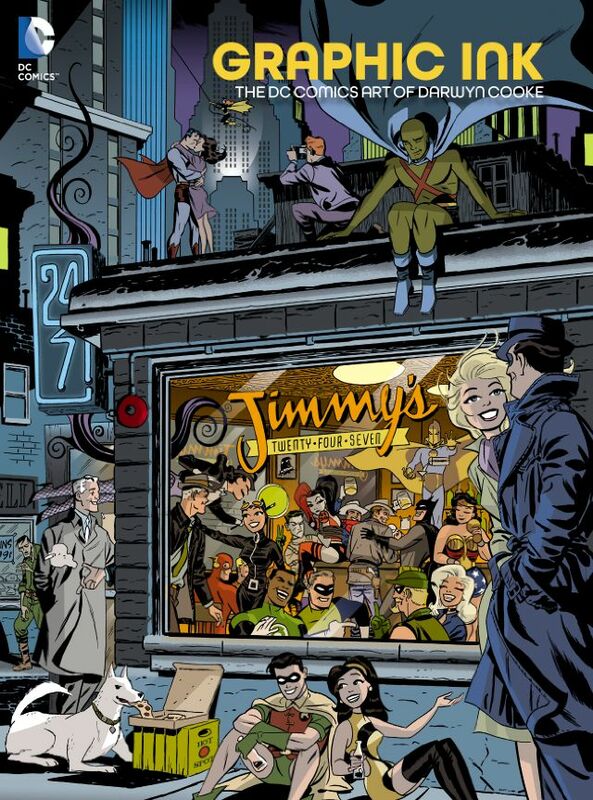 The reason it caught me by such pleasant surprise is that I didn’t enjoy this publisher’s recent relaunch of Archie. I’ll get back to that other relaunch in a moment. Welcome to 2016. I didn’t make any New Year’s resolutions per se, but I do hope to continue to recommend great comic books, graphic novels and collections to you. I’d also like to do fewer negative reviews this year, but sometimes I just gotta let you know when an item isn’t worth your hard-earner cash.